Nourishing your skin is crucial after a long week. If you also use abrasive and exfoliating products to wash your face such as a Clarisonic, or FOREO LUNA, you should consider moisturizing 2-3 times per week. Although your skin may look acne free, and even red or dark spot free, your skin on the inside is screaming out for something to refresh it. The best attribute about this C-Rush mask is that it is both moisturizing and also brightens. The C-Rush Brightening Mask fell into my hands through Influenster. The box alone was love at first site- covered completely in oranges with a beautiful bright orange shade. Having interned with Fresh Beauty, this reminded me of one of their displays which did consist of real fruit. 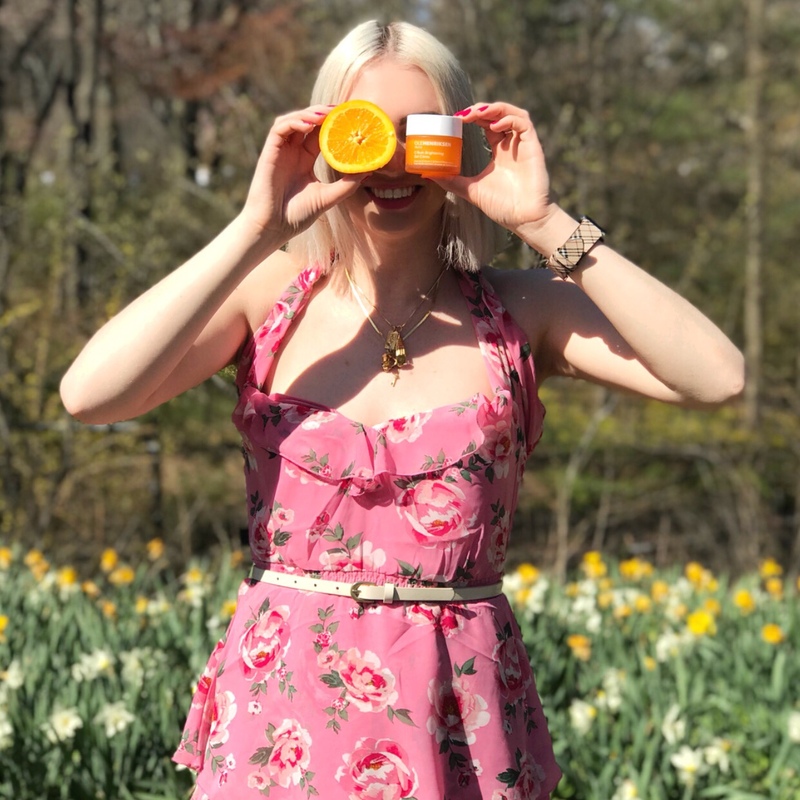 The difference is that Fresh’s Vitamin C-Mask has a thicker consistency and is meant to be washed off as a normal mask, whereas Ole Henriksen’s mask can be left on over night. This C-Rush Brightening Gel Mask also will last for hours into the next day with 24-hour hydration. Once I opened the cap, immediately my nose inhaled the beautiful scent of fresh oranges. I’ve tried this mask before it’s definitely lovely.